This is not the one you make out of box. I got that one to, Not yo Mama’s Banana Pudding 😉 Believe me they are both good. If you feel the need to make it the old fashioned way then this one is for you. Turn the heat on add to the pot 2 tbsp butter, 1 cup sugar, 1/3 cup flour, 2 egg yolks, 2 cups of milk and 1/8 tsp of salt. Whisk ingredients together takes about 10 minutes on medium high. Layer the casserole dish with 1/2 box of the vanilla wafers, then the 2 bananas. Add 1 tsp vanilla to the custard. Add half of it to the casserole. 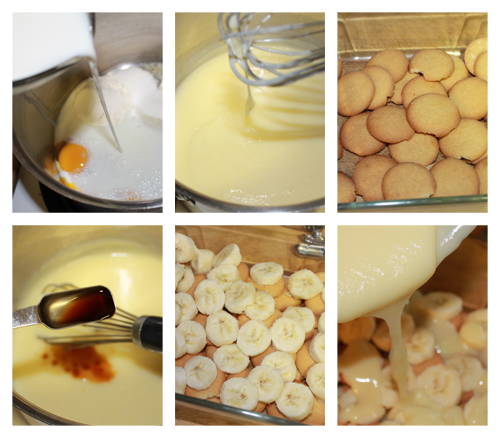 Layer with the rest of the vanilla wafers and the other 2 bananas and the rest of the custard. Whip the egg whites add 1/3 cup of sugar and whip until you get peaks. Now you have meringue. 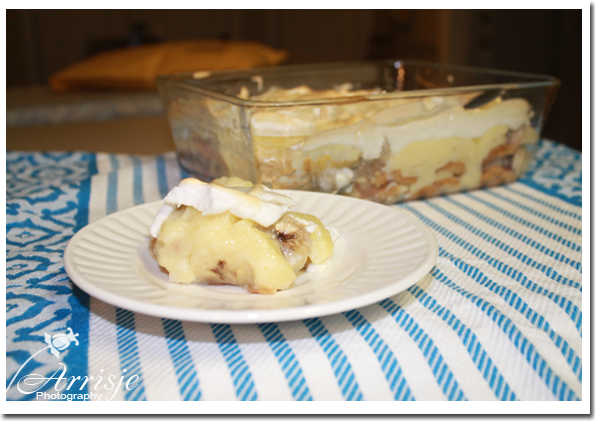 Spread the meringue over the banana pudding and put in the oven for 4 to 4 1/2 minutes. Turn the heat on add to the pot 2 tbsp butter, 1 cup sugar, ⅓ cup flour, 2 egg yolks, 2 cups of milk and ⅛ tsp of salt. Whisk ingredients together takes about 10 minutes on medium high. 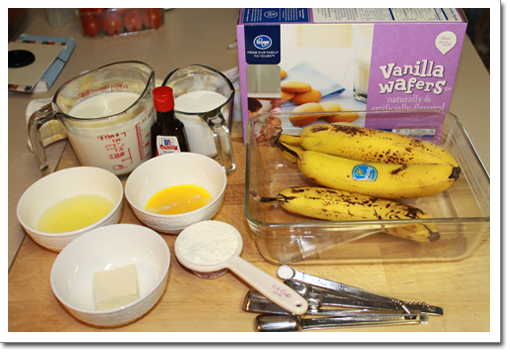 Layer the casserole dish with ½ box of the vanilla wafers, then the 2 bananas. Add 1 tsp vanilla to the custard. Add half of it to the casserole. Layer with the rest of the vanilla wafers and the other 2 bananas and the rest of the custard. 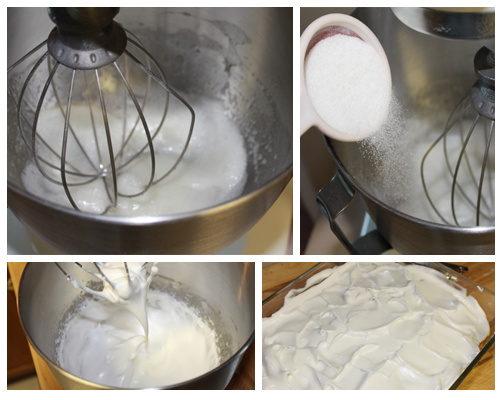 Whip the egg whites add ⅓ cup of sugar and whip until you get peaks. Now you have meringue. 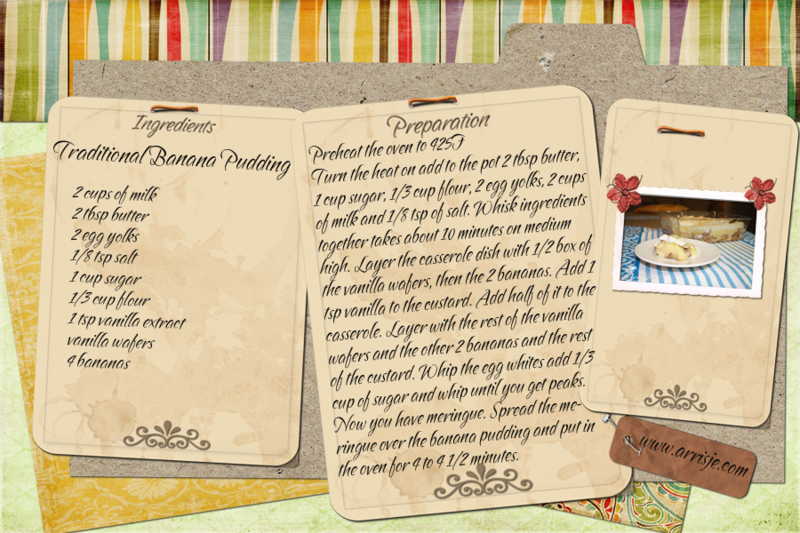 Spread the meringue over the banana pudding and put in the oven for 4 to 4½ minutes.